Solar storms remove a surprisingly large amount of material from the lunar surface, computer simulations have revealed, leading NASA scientists to speculate that solar storms may also be a major factor in atmospheric loss on Mars and other planets. This is the first time researchers have attempted to predict the effects of sun activity on the Moon. 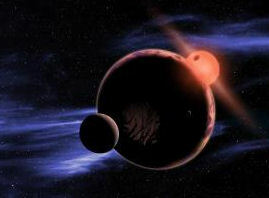 Details of the simulations appear in the Journal of Geophysical Research Planets. 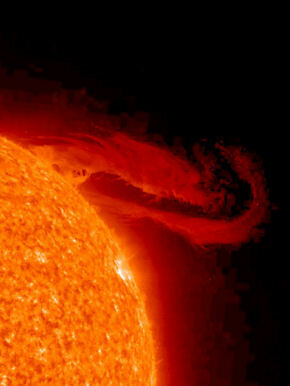 According to Rosemary Killen, from NASA’s Goddard Space Flight Center, coronal mass ejections (CMEs) from the Sun impact the lunar surface and atoms are ejected in a process called “sputtering.” CMEs – a more intense version of the normal solar wind – are effectively a diffuse stream of plasma that’s blown outward from the surface of the Sun. 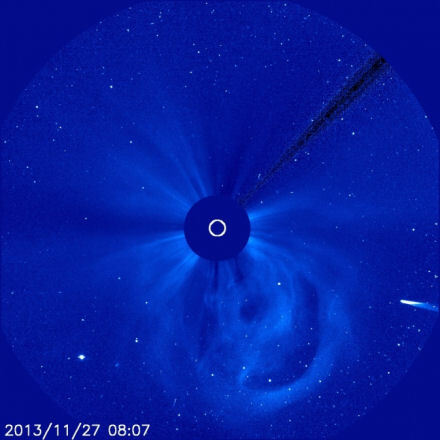 A strong CME may contain around a billion tons of plasma moving at up to a million miles per hour. CMEs, notes Killen, are effective at removing lunar material not only because they are denser and faster than the normal solar wind, but also because they are enriched in highly charged, heavy ions. The typical solar wind is dominated by lightweight hydrogen ions. 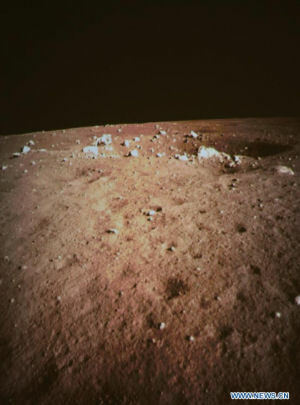 However, a heavier helium ion with more electrons removed, and hence a greater electric charge, can sputter tens of times more atoms from the lunar surface than a hydrogen ion. Helium ions comprise about four percent of the normal solar wind, but observations reveal that during a CME, they can increase to over 20 percent. When this enrichment is combined with the increased density and velocity of a CME, the highly charged, heavy ions in CMEs can sputter 50 times more material than protons in the normal solar wind. 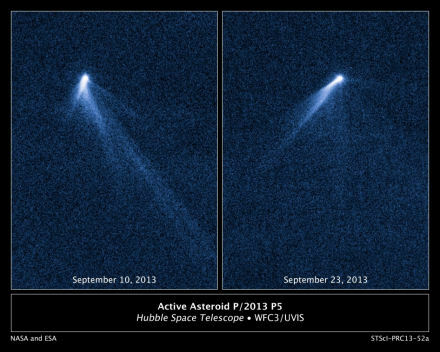 The researchers believe that NASA’s Lunar Atmosphere And Dust Environment Explorer (LADEE) – a lunar orbiter mission scheduled to launch in 2013 – will be able to test their predictions. The strong sputtering effect should kick lunar surface atoms to LADEE’s orbital altitude, around 20 to 50 kilometers, so the spacecraft will see them increase in abundance. While the Earth’s magnetic field protects us from destructive solar winds, Mars does not have a complete magnetic field. Therefore, says Killen, CME gases have a direct path to sputter and erode that planet’s upper atmosphere. In late 2013, NASA will launch the Mars Atmosphere and Volatile Evolution (MAVEN) mission that will orbit the Red Planet to investigate exactly how solar activity, including CMEs, removes the atmosphere.